It’s rarely that you get to drink history. 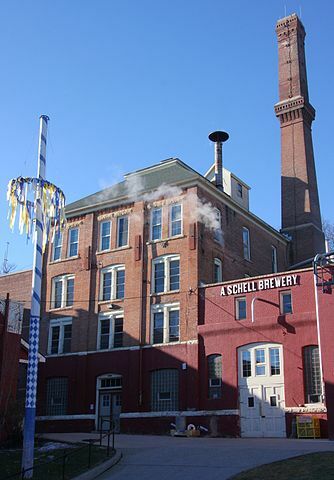 Since the mid-1800’s the August Schell Brewing Company has survived and thrived. Living through many important moments in US history. From Prohibition and many wars, to the light beer craze and low-carb diets. It is the first craft brewery in Minnesota and a staple of the industry. Schell proudly continues to grow and expand as the years pass. 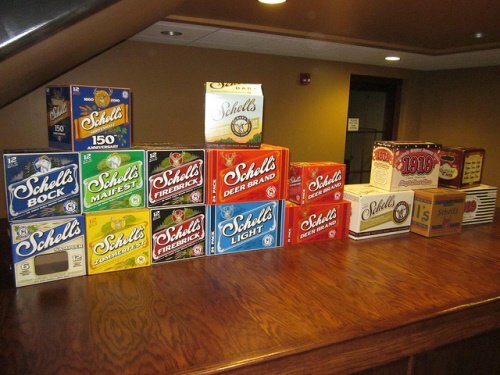 Don’t be fooled –– Schell might have some years under its belt, but it’s not your grandma’s brewery. Find out how they fused their brand with practical marketing tools. 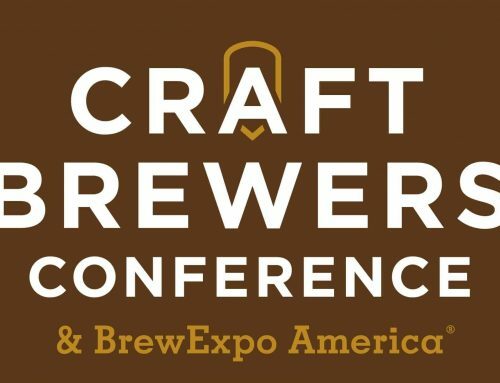 Schell continues to connect with customers and stand out from the craft brewing pack. The company’s namesake, August Schell, was born in Germany. In 1848 he set out for the United States, settled in Cincinnati, where he worked hard and started a family. He soon discovered that finding a great German beer wasn’t exactly an easy task. So he decided to make his own instead. Schell teamed up with a former brewmaster and together they built a brewery. They produced 200 barrels in their first year. Many ups and downs occurred in the decades that followed. Yet, the August Schell Brewing Company tradition made it through and carries on today. Now, the August Schell Brewing Company is using new ways to get people’s attention. Read on to see how they have used cardboard cutouts to show people all that their historic beer has to offer. What’s the backstory on your cardboard cutout? At traditional Oktoberfest celebrations in Germany, the beer maids and beer waiters carry steins full of beer to their patrons. Many of them carry ten or more steins a time, making the job no small task. When we host our Oktoberfest at the brewery, many of our waiters do the same –– it’s quite a sight to see. That inspired us to get a cutout so that we could represent that aspect of our beer’s history. Why did you get a cutout? Not everyone is able to carry ten or more full steins of beer, so the cutout was a way for them to have a little fun (without the risk of breaking so much glass!). 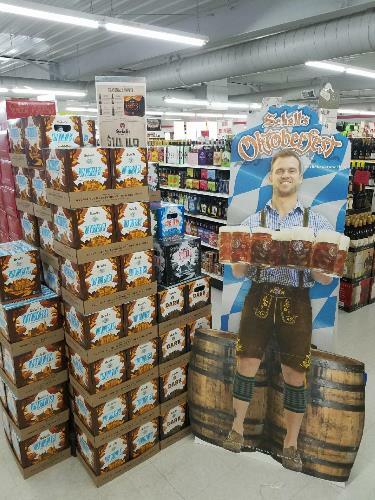 They can stand behind the cutout and pretend they are serving at Oktoberfest. What are you doing with the cutout? 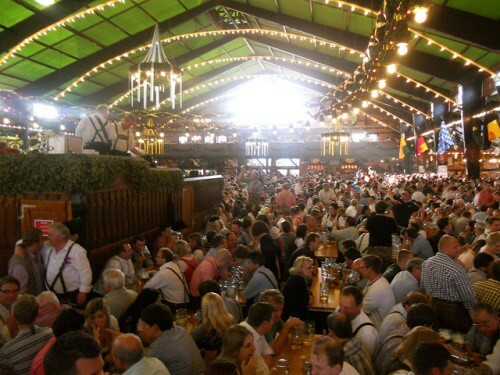 We place it in bars and liquor stores to complement the beer and show off one of the many reasons for attending an Oktoberfest celebration: watching people carry the steins. The cutout really enhances our displays and creates a visual appeal. All for a reasonable price. What responses have you gotten from customers and business partners? We’ve received a lot of great feedback so far with people taking pictures with the standee with the face and others who have the face punched out and pretend to be holding the mugs themselves. Not everyone realizes just how great they look in lederhosen until they see their photo! What has the response been in public? A lot of heads turn when we are walking around with the cutout and it draws a lot of attention. We receive a lot of smiles, laughs, and a few head shakes, but we think it’s because sometimes people are nervous at first try it out for themselves with others watching. But now we often have a line of people waiting to get their picture taken! more with (potential) customers and clients. With Cardboard Cutouts, we make it simple to make that happen. Help draw in the curious passersby and delight first-time visitors. Let people interact with your brand and share it on social media. Small business owners and pro marketers alike can enjoy the fun and ease of making a unique cutout. 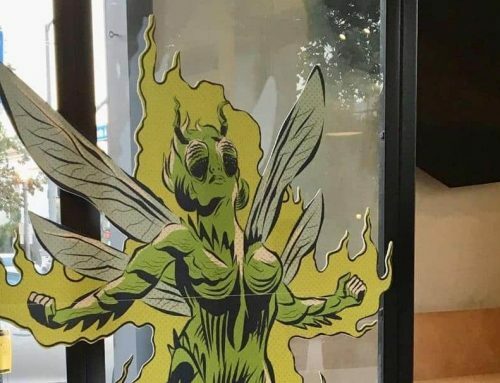 Custom cutouts are sure to grab people’s attention and foster a connection. As you can see, we love the creativity with our cutouts. We can help you create a life-sized cardboard cutout. 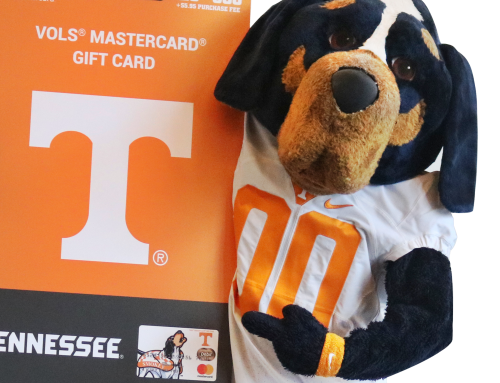 It will be perfect for placing in-store, at special events, or in social media photos. Want to make history yourself? Hit us up to find out how.